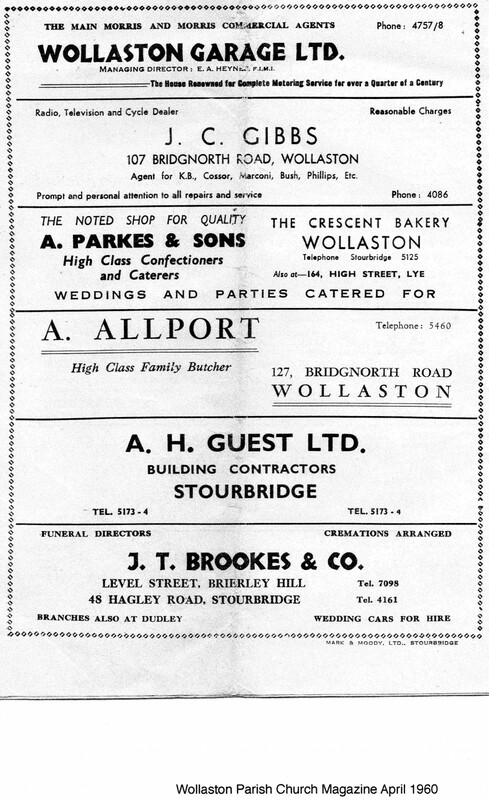 Wollaston Parish Church Magazine for April 1960 had four pages of advertisements, most of them for businesses and shops in Wollaston. These six represent long established shopkeepers and well known councillors who represented Wollaston on Stourbridge Council. They were Eric Heynes of Wollaston Garage who was first elected an independent councillor in 1938. He served for 25 years, was appointed an alderman in 1952 and a magistrate in the 1940s. Alfred Allport, a butcher, was the last mayor of Stourbridge and active in raising money for the Senior Citizens’ Centre. In 1901 Albert Guest was appointed Churchwarden at St James’s Church and served for 16 years. He was a successful building contractor and owned sand and gravel mines at the Ridge. He gave 8 acres of land behind the schools which became the Recreation Ground, known as ‘The Rec’ . This was officially opened on 29th August 1921. He was appointed a J.P. in 1927 and died in at the end of that year. 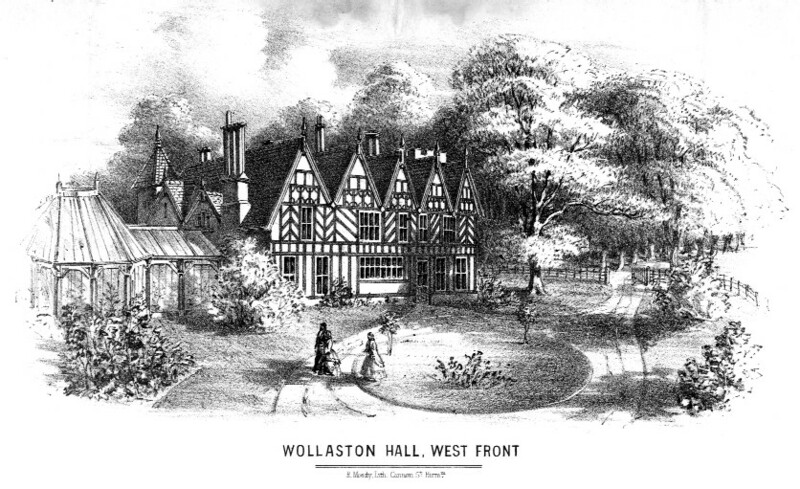 Next: The entrance to Wollaston Schools.